The Internal Revenue Service requires employers to provide employees with accurate copies of their W2 forms, showing the employee’s earnings and taxes withheld for the year. 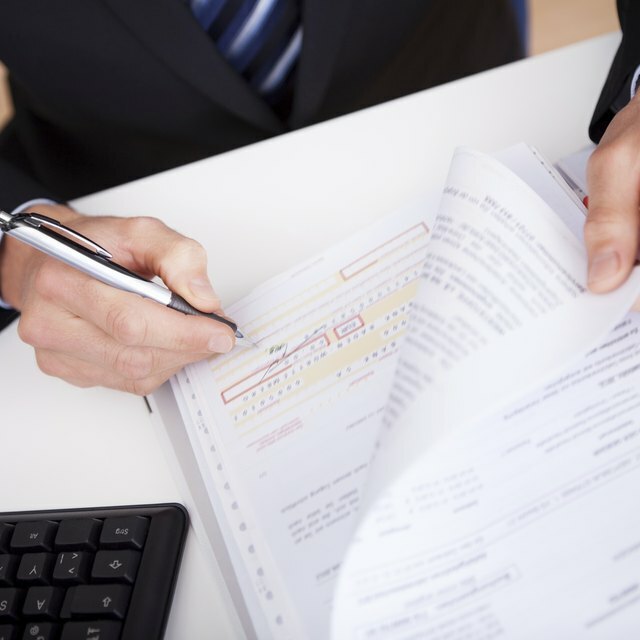 An employer who distributes forms with false information -- such as an incorrect employee tax identification number, or incorrect reporting of wages paid or taxes withheld -- is subject to financial penalties. You may file a corrected W-2 to correct any errors. If you file a W-2 with incorrect information, the IRS may assess a penalty of $30 per incorrect form, up to a total of $250,000, if you correct your errors within 30 days of the filing deadline. If you issue a corrected form more than 30 days after the due date but prior to August 1, the penalty is $60 per form, up to $500,000 total. If you make the correction after August 1 or fail to issue a corrected form at all, the penalty is $100 per form, up to $1.5 million. The IRS may waive penalties if you can show the error was made due to circumstances beyond your control. You’ll also need to show that you made your best effort and did whatever you could to avoid errors. The IRS also won’t assess a penalty if it deems any errors on your W-2 forms to be inconsequential. If an error doesn’t prevent the IRS from processing the form correctly, and if the employee surname, tax identification or Social Security number and any money amounts listed are correct, you probably won’t face a penalty.